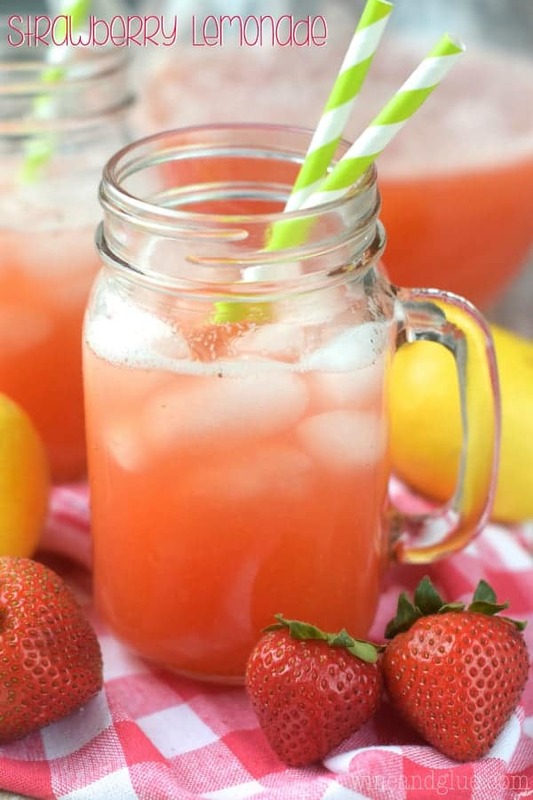 This Strawberry Lemonade is made from scratch, totally delicious, and only THREE ingredients! Thank you Papa John’s for sponsoring today’s post! 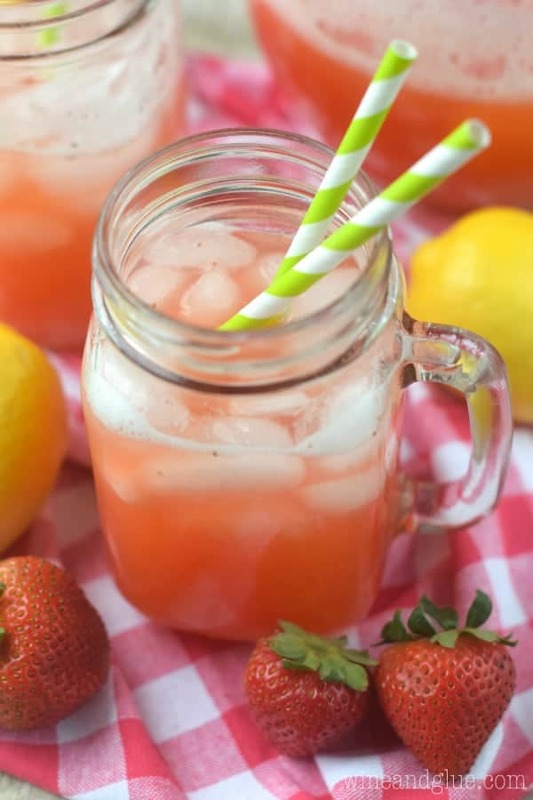 Guess what pairs perfectly with this Strawberry Lemonade? Yes! Papa John’s pizza! When I was in college and Nathan and I were dating, one of my favorite things to do on a Friday night wasn’t going out to bars, or staying out late . . . it was sitting in Nathan’s apartment with him watching reruns of King of Queens and eating Papa John’s pizza. Our order was always the same . . . one pepperoni, one black olives and onion, and one order of cheese sticks. I’m pretty sure that 25% of my body was made up of Papa John’s. Which I now come to know is totally a good thing since they are totally serious when it comes to their tagline, Better Ingredients. Better Pizza. Did you know that they hand pick the farmer’s that they get their ingredients from? Carefully vetting them and making sure that they will deliver ingredients that will live up to the Papa John’s standard? 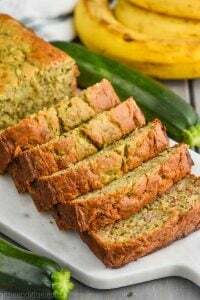 They pick growers that are growing ingredients where they grow best. Tomatoes from California, olives from the Herrera region of Spain, and pepperoncinis (my favorite!!) from the Mediterranean region. Their dough is made from scratch, never frozen, and delivered right to the restaurants. Their cheese is 100% real cheese made from high-quality mozzarella and high-quality skim milk. Their meat toppings are all made from real beef and pork and have no fillers. 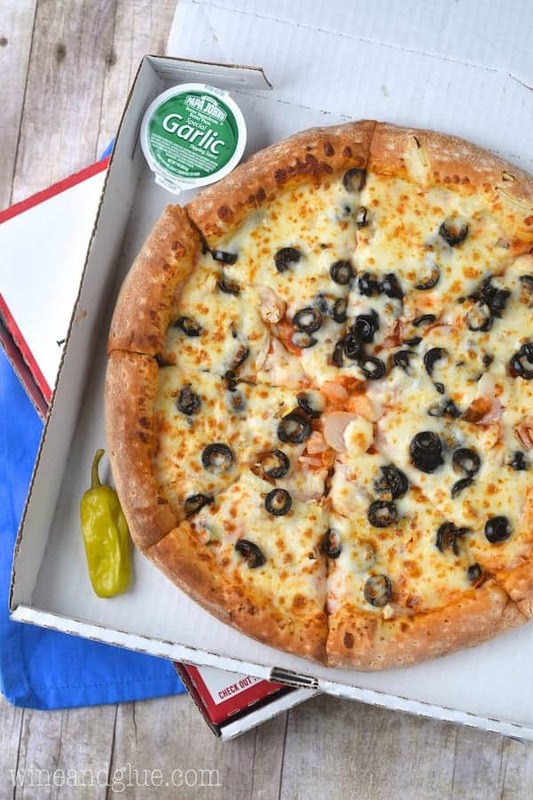 Additionally, Papa John’s has no trans fats, no MSG, no BHA or BHT, no fillers in its meat toppings and no partially hydrogenated oils. Their commitment to better ingredients totally shows, since their pizza is amazing. It is seriously our favorite carry out pizza! And not just because a small wiff of their amazing garlic butter sauce takes me right back to Nathan’s old plaid college couch. 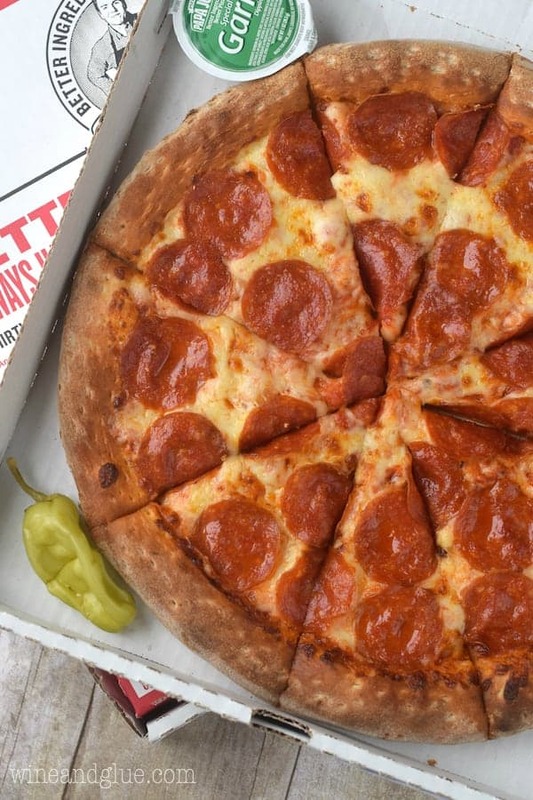 Since we are for sure going to eat out from time to time, I’d rather do it at Papa Johns where I can feel great about the ingredients I’m feeding my family. My kids love Papa John’s almost as much as we do, and it makes for a perfect family pizza night! 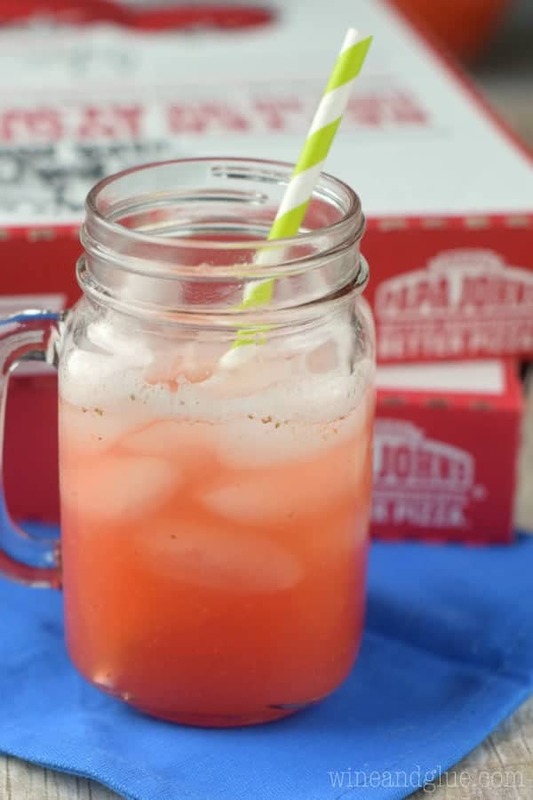 And what goes perfect with our pizza is this Strawberry Lemonade! 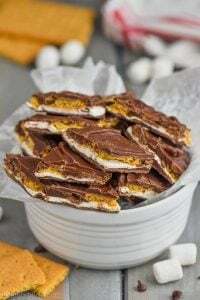 Just like Papa John’s pizza, it’s made from scratch with awesome ingredients! Strawberries, lemons, sugar, water. That’s it! 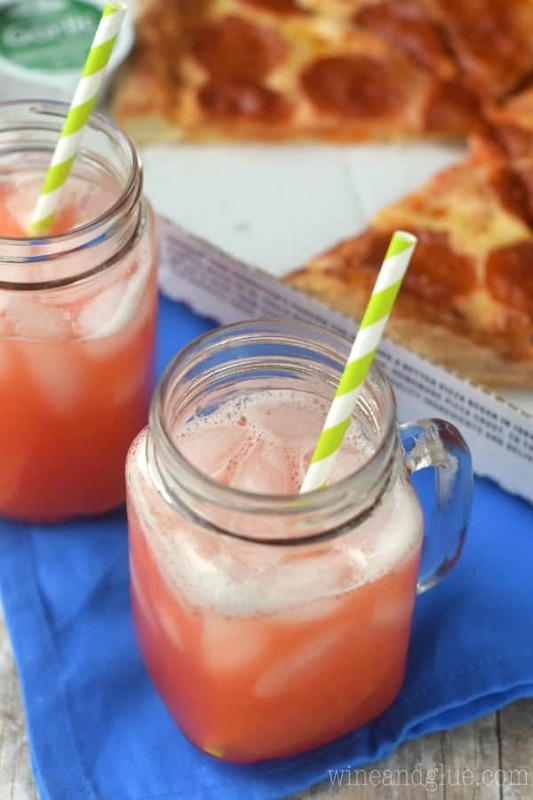 This lemonade went perfect with our pizza night and my kids looooved it! Now you can mix some up next time your order Papa John’s! Combine the strawberries and lemon juice in a blender or food processor and puree. Add the puree to a medium sauce pan. Add the sugar and 1 cup water and bring to a light simmer over medium heat, stirring consistently until the sugar is completely dissolved, about 8 minutes. 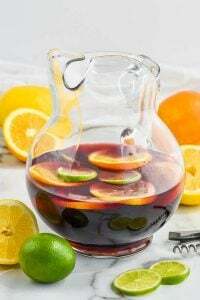 Strain into a large pitcher and chill. Once cooled, add three cups of water, stir, and serve over ice. Wait. You got PIZZA to sponsor you? It’s official, Lisa. You are the coolest ever. And this lemonade is definitely a perfect pairing. So much better than a beer or a Coke when it’s hot outside! 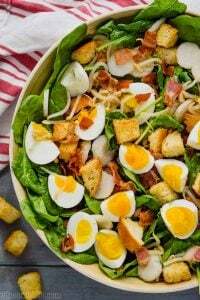 Oooh, this looks so delicious! (Both the pizza and the strawberry lemonade!) By the way, I read about your fun blogging trip on Dorothy’s blog. I hope I get to meet both of you someday! You have always been so generous and helpful to me! I hope to meet you too Melissa!! Gah! NOW I WANT PIZZA AND LEMONADE. Love the pics! !